The Polynesian island nation of Tuvalu, population 12,000, is ready to join the ranks of Pacific OLPC countries following a senior-level workshop in the capital, Funafuti. The 10-day capacity-building mission is in advance of deployment of gifted laptops, courtesy of a tranche of 5000 XO laptops donated to Pacific Islands Countries by the OLPC Foundation. The Funafuti workshop brought together teachers,school supervisors, curriculum officers, and the country's senior education administrators, including Ms Katalina Taloka, Director of Education. 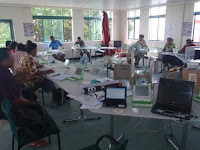 The workshop was conducted by Pacific ICT-for-education expert, David Leeming, who has provided guidance on OLPC to the governments of Papua New Guinea, Solomon Islands, Nauru and now Tuvalu. 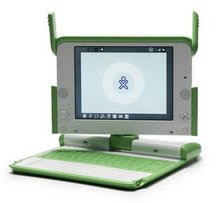 OLPC in the region. Lessons learned from other Pacific projects. Technical awareness. Training on the XO Laptop and XS Server. Basics of functionality of the XO laptops, the activities on them, and the XS school server. Localisation – converting the laptop language into Tuvaluan. Curriculum integration. Using the laptop to support the learning objective. Integrating laptop (and server) usage into the lesson plan. Available curriculum materials. Understanding the learning curve. Developing an OLPC Country Program plan. Community and parents engagement and involvement. Mr. Leeming reports the workshop was a valuable exercise for both Tuvalu and the Pacific: "It is early days yet, but I think there is a good potential from the Tuvalu project that may provide a good model for the region." The mission was supported by Secretariat of the Pacific Community (SPC) and the International Telecommunications Union (ITU). OLPC Oceania is a project partner in ITU’s global initiative Connecting Children. In February 2009, ITU and OLPC announced they would combine efforts to bring laptops to school children in the Pacific Islands and the Tuvalu mission was undertaken under this partnership. Access the deployment plan for OLPC Tuvalu here.